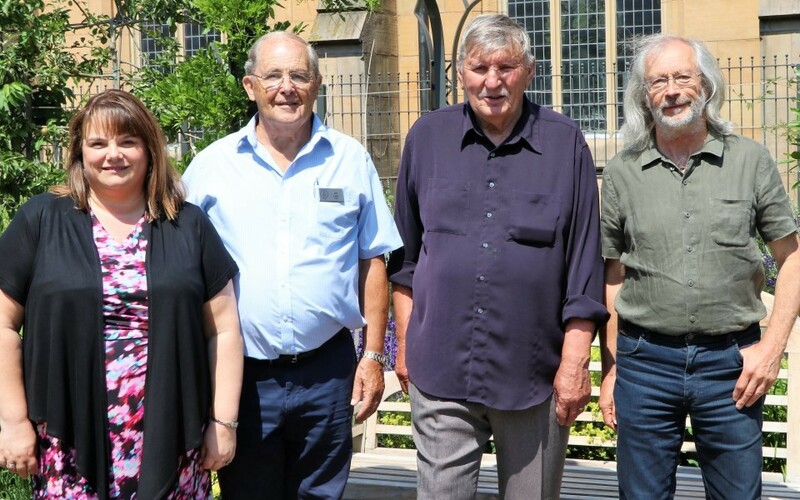 Judges from the Royal Horticultural Society (RHS) visited the town today (Thursday July, 5) to see its stunning floral displays. The areas they visited included Cathedral Quarter, Church Street, Fleming Square, King William Street and the Blakey Moor Townscape Heritage area where a new environmental improvement scheme is planned. The RHS North West in Bloom Awards honour the region’s greenest and most beautiful locations. Blackburn is competing in the Business Improvement District (BID) category and the Small City category . The entry is supported by funding from the Blackburn BID and will be assessed against three key criteria: horticultural achievement, community participation and environmental responsibility. The flower displays in the town centre are blooming once again and we would love to build on the brilliant achievements of the last two years and win a hat-trick gold award. We are very proud of our strong partnerships between the council, Blackburn BID and other local organisations that work together to help ensure our town centre is a beautiful space for our residents, visitors and workers to enjoy. I would really like to thank the work of the town centre gardeners and the street cleansing teams who every year go the extra mile to help make our town look so vibrant and attractive. Special thanks also go to all the volunteers including Blackburn Horticultural Society, Blackburn College and McDonalds who have had volunteers litterpicking in the town, Shah! Bar on Northgate, all the Town Hall Street businesses and The Postal Order pub who have done a sterling job with their displays. The council’s dedicated gardeners and all the volunteers have been working incredibly hard to prepare for the judges’ arrival. We have been busy litterpicking, watering and weeding so that our displays look their best for the big day. The additional support from the BID makes these incredible displays possible and shows what can be achieved when town centre businesses work in partnership with the teams from Blackburn with Darwen Council. The winners will be announced at the end of October at a ceremony in Southport.